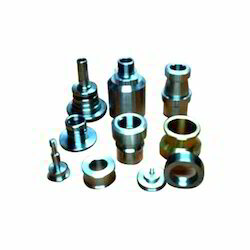 We are one of the leading manufacturer of Turned and Milled components in Chennai and capable of manufacturing components using 4th axis and 5th axis Milling Centers. CNC machine mechanical oriented services and electrical oriented services, Bed scraping also doing. Owing to the wide experience in this domain, we are instrumental in offering Hospital Machine Maintenance Service to our clients. We at CKB GROUP was also Providing CNC Machining Services for Fabricated Components. We are offering to our clients CNC Machining services. We render our clients with custom prototype work or production on CNC machining as per their requirements. In order to keep pace with the never ending demands of customers, we are involved into rendering CNC Machine AMC Service. SV Pack has full-time, highly trained and experienced field service technicians who repair and service your equipment to a high quality standard.